Looking for a consumer marketing list. DataConsult has access to over 11 million individual consumers from Australia and New Zealand. Our targeted consumer mail, email & telephone lists give you access to the most accurate and up-to-date information available. You can customise your lists with a multitude of selections such as age, income, lifestyle attributes, purchase history and geography. Consumer lists come from a number of markets however you can mainly catagorise them into Lifestyle, Geodemographic, Subscriber and Mail Order buyers. Within these segments you can then further categorise into targeted lists such as high income earners or people with home mortgages as an example. Acxiom – InfoBase Consumer offers a comprehensive data source for new customer acquisition, data enhancement, analysis, scoring and profiling purposes. 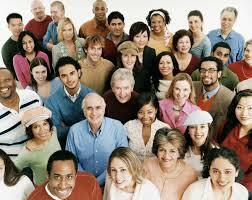 Covering Australia and New Zealand InfoBase Consumer is made up of over 11million individuals. It is updated via surveys and market feedback and selections can be made on Age, Income, Gender, Homeowner and Postcode range. BehaviourBase is built from self-reported lifestyle data. Acxiom captures information via in-product questionnaires, warranty cards and satisfaction surveys. It is one of the fastest growing lifestyle databases in Australia. Selections can be made on Age, Income, Family, Occupation, Lifestyles, Interests, Charitable concerns and Automotive preferences. The Great Australian Survey ( Great Sites ) – This list covers 360,000 consumers in Australia and New Zealand. It provides details of consumer behaviour and purchasing intentions through quarterly online surveys. It is the most up-to-date data for consumer direct marketing purposes. The Great Australian Survey provides opt-in email, postal & telemarketing data. Selections include Age, Gender, Finance & Banking habits, Income, Shopping habits. There is also an opportunity for companies to add in questions for Sales lead purposes. Cohort Survey – Cohort offers a comprehensive lifestyle database. All consumers have opted-in to various on-line lifestyle surveys. The list can be selected by numerous variables and is widely used by leading consumer marketers in Australia. This list us useful for multi-channel campaigns as it covers email, mail & telephone. Veda Consumer Database – A huge database of over 12 million consumers and 2 million businesses across Australia. 200,000 records are updated every month via credit bureau information. Data can be selected by income, dwelling type, GeoRisk, Household Composition, Length of Residency, Age, Property Value and Prophe$y. Zoom Direct – A permission based email list of 160,000 members. The data is sourced from partner websites who opt-in to specific offers. Zoom Direct allows geographic, psychographic and industry standard demographic targeting. Those included on the list are primarily professional with a heavy female skew. Australian Consumer Masterfile – This is one of the largest consumer databases available in Australia. A profiled database of over 6 million consumers that can be segmented by age, income, property, lifestyle. Available in mail & telephone. Direct Response Television List – Responders to various direct response TV offers. All records have purchased a product. 95% have paid by credit card and 33% have ordered via the internet. Mailing data only. WRM Media – WRM-Media provides access to an international email and postal database with over 31 million records. The majority of the data is collected from Who-Remembers-Me.com; wrm-surveys.com; wrm-dating.com. All members provide a positive opt-in to receive third party advertising by post and email. No incentives are offered to the members to open or click on emails. The database is currently growing by 30-50,000 records per month in AU alone. Rewards Central – Rewards Central is a double opt-in email database of over 4 million Australians & 550,000 New Zealanders. It has over 110 profiling options and captures purchase intentions, lifestyle and interests. It also offers lead generation options as well as on-line panels for research projects. eGentic – eGENTIC is a specialist in online consumer lead generation. Operating in over 35 markets around the world, eGENTIC provides qualified live consumer data to companies for marketing and customer acquisition purposes.In Australia, in excess of 100,000 consumers complete one of eGentic surveys every month. The database of over 3.3 million Australians allows eGentic to manage real-time lead generation for clients, send eDM campaigns to target customers, or extract contact details for telemarketing or direct mail purposes.